The process of transforming ideas and beliefs into physical, structures in the hope of creating permanence is the focus of my work. 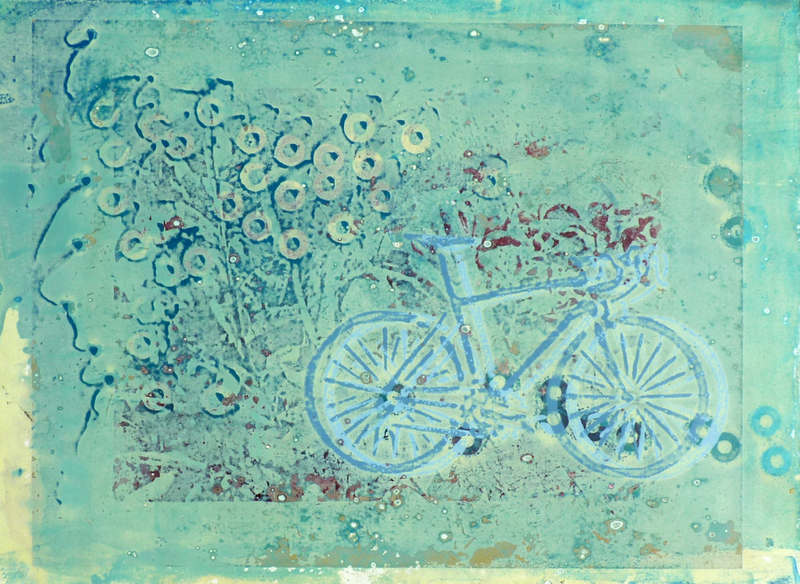 Much of this work is created through the process of screen-printing with non-toxic inks and emulsions. I screen many layers, one on top of one another to create a relief on the paper. I then excavate into the layers through sanding and lifting ink with non-toxic solutions. I go back into each print with oil paint and cold wax medium. 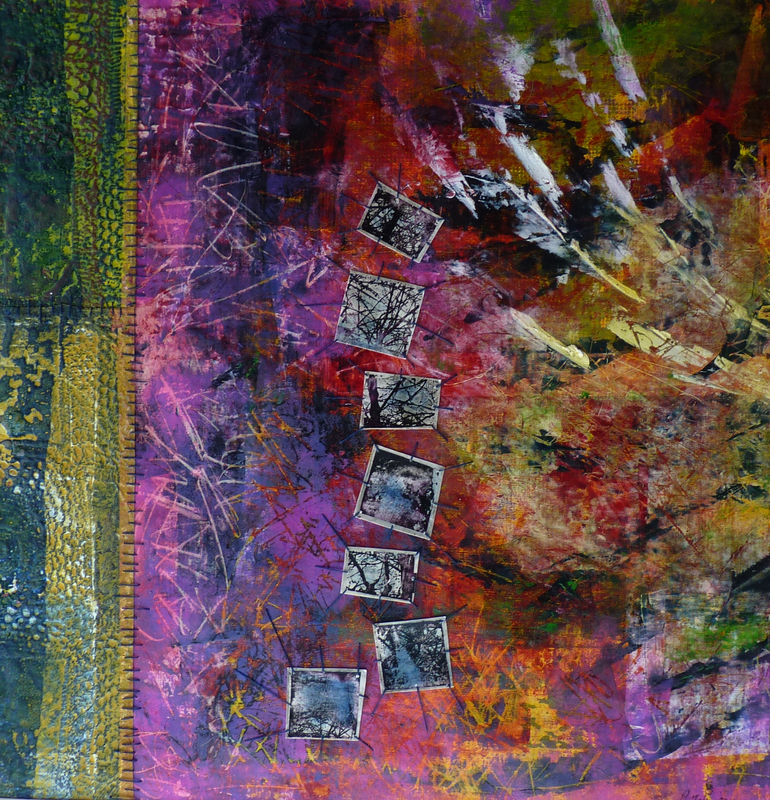 Some of the work starts as an intaglio print only to be painted, torn, sewn and restructured. Though I’m exploring print making, my work continues to draw from the quilt maker’s process of fragmenting, layering and restructuring, a process, which mirrors life. We constantly look to structure our lives and the natural world surrounding us to create safety and permanence within an ever-fluctuating universe. My work is inspired by what I see and sense from the gardens we grow to the walls and lives we construct. 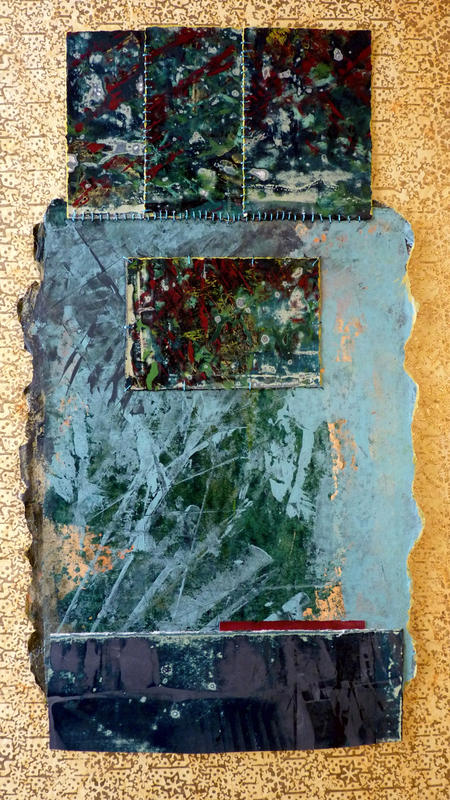 Peg Foley is a fiber artist/printmaker and art educator. She has three grown daughters and lives in Schenectady with her husband John. She holds a Master of Science degree in Art Education from the College of St. Rose and a Bachelor of Science degree in Fine Arts from Nazareth College in Rochester. She is the recipient of a Surdna Foundation Fellowship and has studied art at Penland School of Crafts in North Carolina. She has taught and created art for the past forty years and currently teaches art in the International Baccalaureate program at Schenectady High School. She also curates the Butzel Art Gallery at the high school and is presently co-director of the Oakroom Artists. 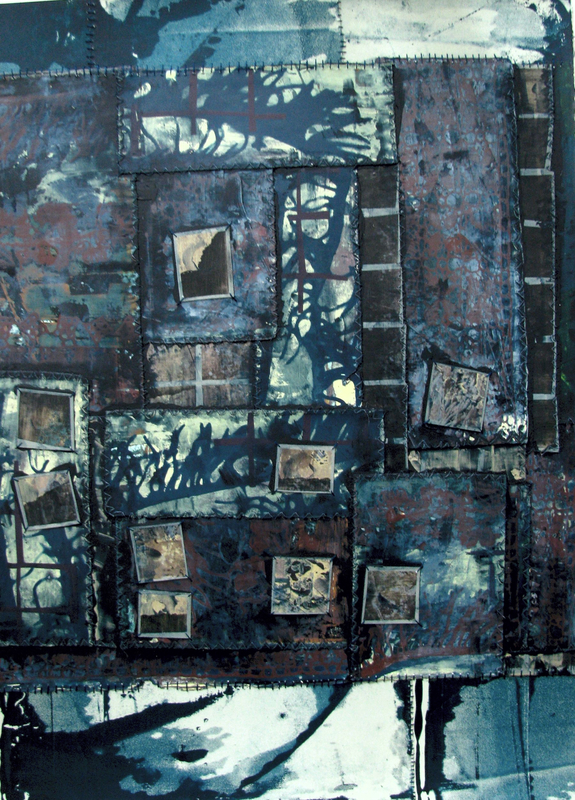 Her work has been shown in and around the Northeast for the past thirty-five years. She presently uses photo etching and photo screen-printing processes to create mixed media works which incorporate fabrics and a variety of fibers into pieces which deal with the theme of impermanence. You are currently reading Peg Foley at oakroom artists.